Last week I cleaned my porcelain kitchen sink and when I was done it looked almost brand new again! 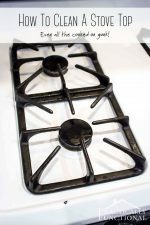 The only problem was that the little rubber gasket on the drain was still kinda gross, and the garbage disposal was smelling a bit. 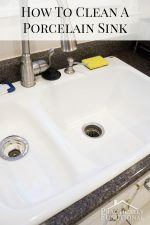 Luckily, it’s pretty easy to clean a garbage disposal and deodorize it; it only took me about ten minutes and some cleaning supplies I already had in my kitchen! 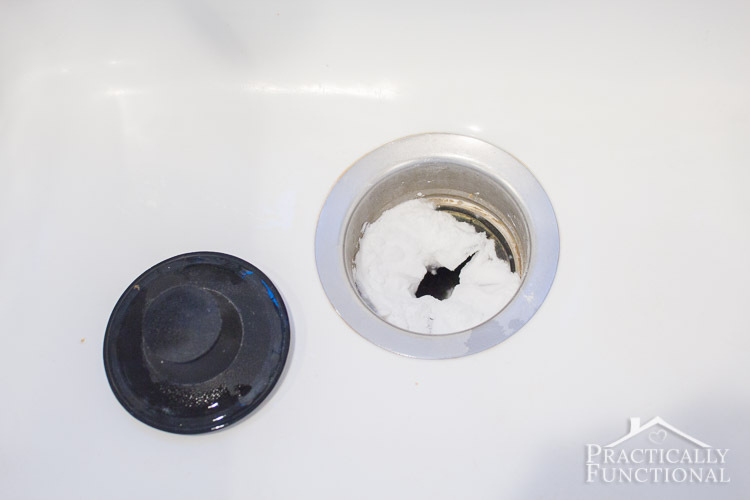 I clean the sink all the time because porcelain sinks tend to get scuffs and stains pretty easily, but it never really occurs to me to clean the garbage disposal until it starts to smell. Once I actually started cleaning, I was horrified at all the gunk I found trapped in the gasket and disposal, GROSS! 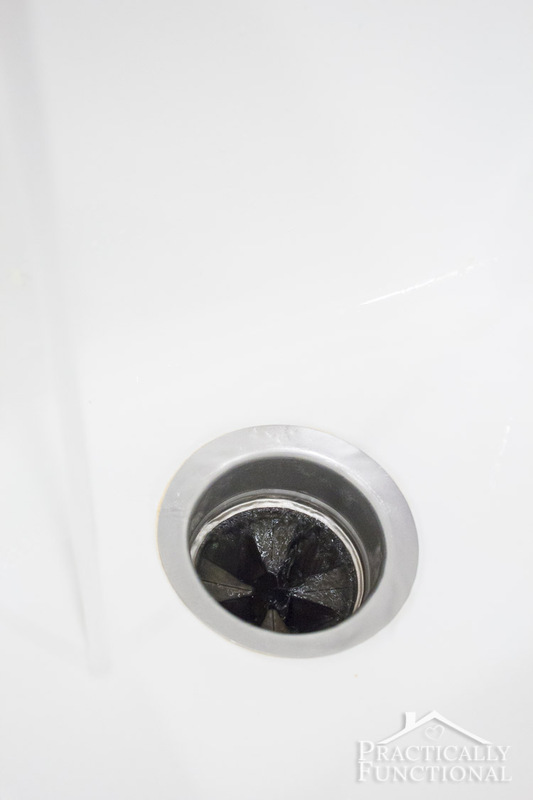 So if you have a garbage disposal and you haven’t cleaned it recently, I definitely recommend cleaning it, even it if hasn’t started to smell yet! 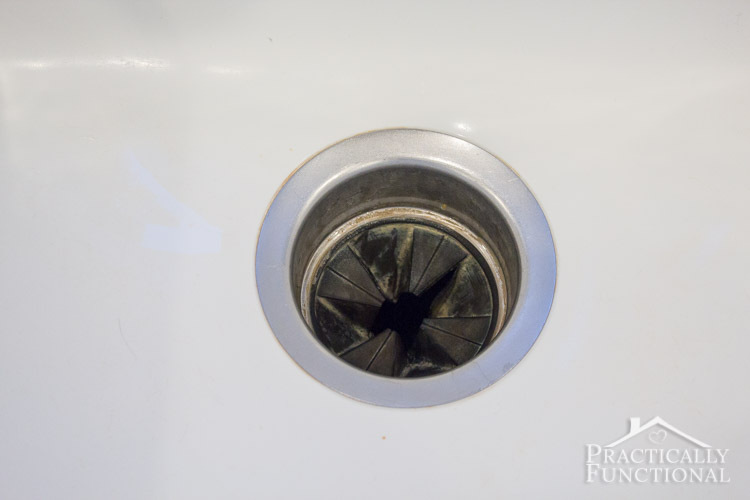 The first step is to loosen up the grime and gunk in the drain and garbage disposal, and kill some of the odors lurking in there. 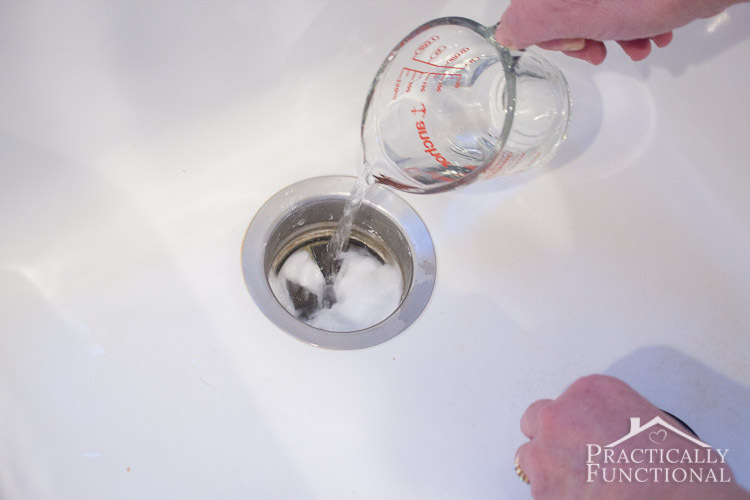 Dump the baking soda down the drain, but don’t turn the water on to flush it down. 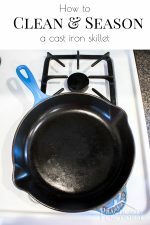 If a bunch of it gets caught on the rubber gasket, use your fingers or a spoon to try to push most of it down into the actual garbage disposal. 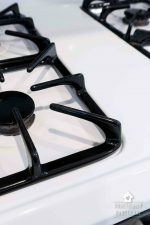 If you have a sink stopper, grab it and have it handy for this next part. Pour the vinegar down the drain, and immediately stopper up the sink with the sink stopper. Vinegar and baking soda react with each other and fizz all over the place (remember those volcanoes you made as a kid?! 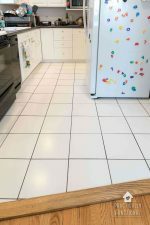 ), and the reaction will help loosen up the gunk in the disposal, so you want to contain it in the actual disposal itself if you can, rather than let it bubble back up into the sink basin. 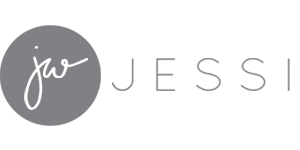 Vinegar and baking soda will help eliminate odors as well, so once you’ve stoppered up the sink, just walk away and leave everything to sit for about ten minutes. Once ten minutes has passed, come back and remove the sink stopper. The next part is the SUPER gross part, so wear gloves if you don’t want to get your hands messy! Take an old toothbrush and start scrubbing the rubber gasket and drain. Scrub all the parts you can see, then reach into the drain, lift up the gasket, and scrub the underside of the gasket and the surrounding drain parts under the gasket. Every once in a while, rinse off the toothbrush and run some water down the drain to wash away the gunk. Keep scrubbing until the toothbrush comes back mostly clean. 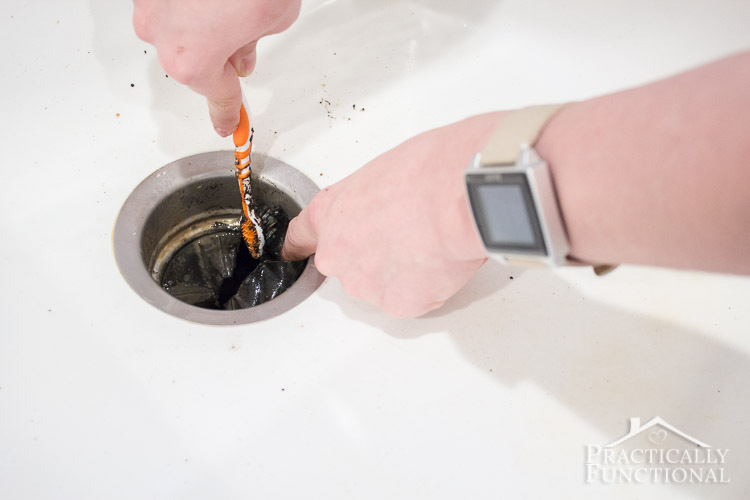 Then put a bit of dish soap onto the toothbrush and give the whole area one more scrub, making sure the soap lathers up everywhere (on top of the gasket, under the gasket, and in the metal parts of the drain and disposal itself). Once you’re done, give everything another rinse to wash away all the soap. Now that everything is all clean, all that’s left to do is to sharpen the blades and freshen everything up! 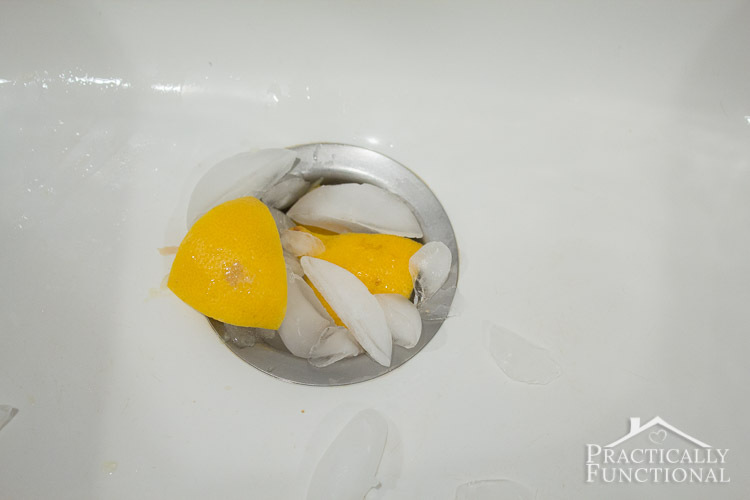 Cut up a lemon into eighths and put the chunks of lemon and a bunch of ice cubes down the drain and into the disposal. 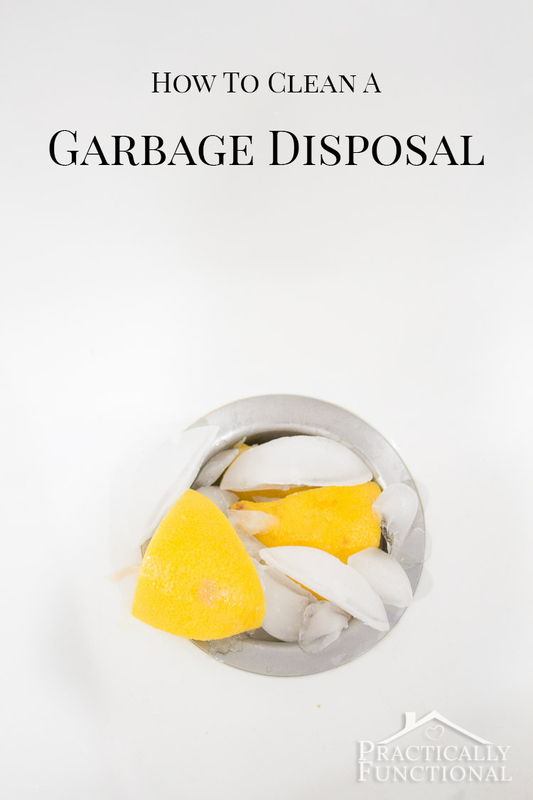 Now your garbage disposal is totally clean and ready to go! Thank you so much for all these ideas gona try this microwave in morning. Good luck, I hope it works for you! Wow! This garbage disposal cleaning thing was definitely overdue at my house! Worked great!